Clean eating and nourishing your body with the right ingredients is the first thing you should look at if you want to start looking and feeling better. Once you start eating clean and drinking enough water you will almost immediately start feeling refreshed and have more vitality when going about your daily life. 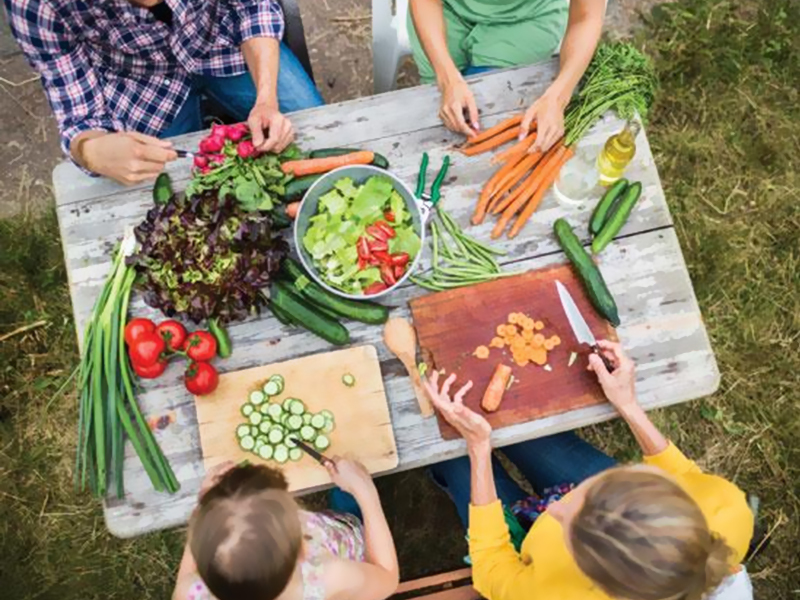 Simply start eating less of refined, unhealthy foods and more fruit, vegetables, healthy fats and whole grains, as well as keeping your body hydrated and see how your body reacts. It’s not difficult to follow and there’s no dieting required. Experiment with following these clean living tips and we’re sure your body will thank you in no time. 1. Educate yourself on the ingredients in processed foods and understand the effects that excess sodium, sugar and fat can have on your body. Limit yourself from eating too much of foods with long, chemical-laden ingredients lists. Try making homemade versions of favourites like muesli bars and tomato sauce- you’d be surprised how many hidden nasties are in these household staples! However, also try to remember that not all supermarket bought, packaged foods are bad for you. You can still gain lots of nutritional benefit from clean packaged foods like whole-wheat pasta, chickpeas and baby spinach. 2. Increase your veggie consumption to maximise nutrient intake. Your immune system, eye sight and bones in particular will feel the benefits. The high fibre content of vegetables will keep you feeling full so you’re not tempted to snack on less healthy options and due to their being so low in calories you can eat as many as you want without your jeans feeling tight. If you typically struggle to get your daily vegetable intake requirements, simply supplement your regular meals with unobtrusive veggies like onion and chilli in your morning omelette or some extra tomato and lettuce on your sandwich. 3. Avoid saturated fat like those found in butter, cheese and meat. Swapping these out for the healthy fats that are found in nuts, fish and unprocessed oils will raise your healthy cholesterol levels and keep your heart healthy and disease free. One unsaturated fat that is easy and delicious to implement into your diet is avocado. Spread it on your crackers or have it in a salad. 4. Too much alcohol adds excessive amounts of calories to your diet, overloads your body with sugar and dehydrates you. Stick to one drink per day for women and two for men. In moderate amounts like this, alcohol may actually be good for your heart. 5. Limit your sugar and salt intake. Both of these are detrimental to your heart and longevity. Look for ingredients lists where these are lower down, meaning there’s less of it in the food. Even healthier foods like yoghurt, cereal and condiments can have excessive amounts of sugar and salt in them. When cooking at home, try to use herbs and spices, citrus and vinegar instead of salt and use natural sugars rather than refined ones. 6. Whole grains contain many more nutrients than refined grains, since the bran and germ have not been removed. Choose whole grain breads and pastas, quinoa, oats and brown rice. People who eat three or more servings of whole grains per day have less stomach fat and lower body mass indexes on average. 7. Meats are high in saturated fat and should not be consumed excessively. We tend to eat portions of meat much bigger than the recommended serving size. Try supplementing your diet sometimes with beans, tempeh or tofu and eat your meat in smaller servings mixed into stir-fries and soups. 8. Increase your fruit intake and reap the benefits of healthier blood pressure and a better functioning immune system. Whole fruits are a better choice than fruit juice, as the fibre is beneficial for weight loss and heart health. If you’re eating frozen, canned and dried fruit (which can be just as good for you) make sure there is no added sugar. It is recommended that adults consume 1.5 to 2 cups of fruit per day. 9. Finally, there’s no point in eating clean if you don’t keep your body well-hydrated. The body needs water to perform all its processes efficiently, to deliver nutrients to the tissues and keep the tissues functioning effectively in order to utilise the nutrients to their greatest capability. Luckily, we at Aussie Natural Spring Water have a range of options for you, so you can stay hydrated no matter your lifestyle. Invest in one of our water coolers for your home or office or keep some of our bottled water on hand, so that whatever you’re up to you’ll always have some refreshing water on hand. We hope this article has educated you on some of the ways you can kick start your clean living pattern. Contact Aussie Natural Spring Water and get your body functioning at its peak.